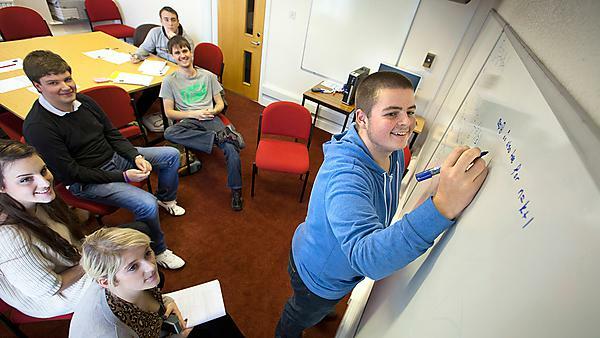 Our Peer Assisted Learning Scheme – or PALS - provides an opportunity to meet, collaborate and engage with fellow students in a relaxed peer-mediated learning environment in the form of one-hour sessions prepared and delivered by trained students on the same course as you. In psychology, the scheme is available to all Stage 2 students and is run by Stage 4 and Placements students. This is to make sure you are not feeling pressured, judged or hesitant as you battle that I-don`t-want-the-lecturer-to-think-I-am-stupid squeeze in your gut, but rather relax into the chilled and confidential atmosphere of student-to-student interaction. In a good way! PALS sessions are usually jam packed with activities that allow for the budding of creativity and thinking about the content of your studies in the much enforced “outside-the-box” way, challenging you to switch from the usual passive note-making/phone-checking/snoozing lecture mode. No judging. We have all been there! Psychology is a very popular course and many may find it intimidating to approach new, and even old, faces whether you are returning after summer or starting off with a clean slate. PALS actually allows you to meet and interact with people who may be outside of your social circle, providing not only some rudimentary teamwork skills but also a potential to form study-buddy coalitions! If this is not your cup of tea, no worries! The PALS Leaders are more than happy to hold a one-to-one conversation during the sessions and provide some personal tips or referral to appropriate services offered by the University. There are multiple PALS groups running their sessions on different days of the week so if the time or date of your group’s session just doesn’t work with your personal timetable, feel free to pop-in to any of the remaining sessions. Although you have been assigned to a certain group and have been contacted by its leaders, this doesn’t mean you have to stick to that. So check the sessions timetable and see if there are sessions that might work for you. The PALS scheme is dynamic in a sense that we do what you tell us to do… as long as it’s related to academic or school-life balancing skills! The scheme thrives on your feedback and we always strive to incorporate your points, evaluations and questions as well as keep up with the ever-changing criteria and content covered. But for PALS to work, we need the student input so do not hesitate to let us know what you would like the scheme to deal with! Attending a PALS-like scheme improved the attendees’ grades as well as various other learning skills such as deep-learning, resourcefulness and psychological literacy (Murray, 2009; Chester,Burton, Xenos & Elgar, 2013).